Chef Lorenzo and I reimagined this classing and turned it inside out. 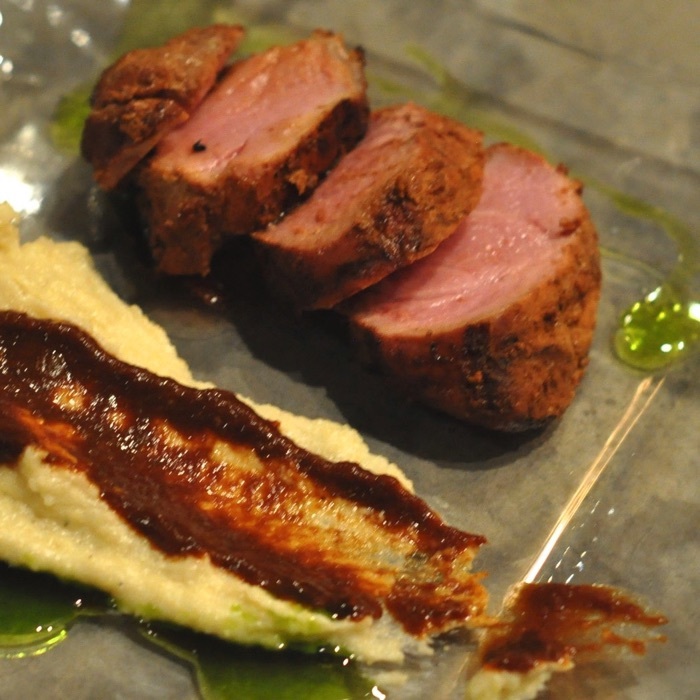 Pork tenderlion rubbed with adobo and other chilies, creamy polenta replaces the tortilla. Finished with cilantro oil.